Happy Wednesday friends! We’re midway through the week and sliding toward the weekend! That’s a good feeling, right?! Can anyone else believe we’re already to August?! 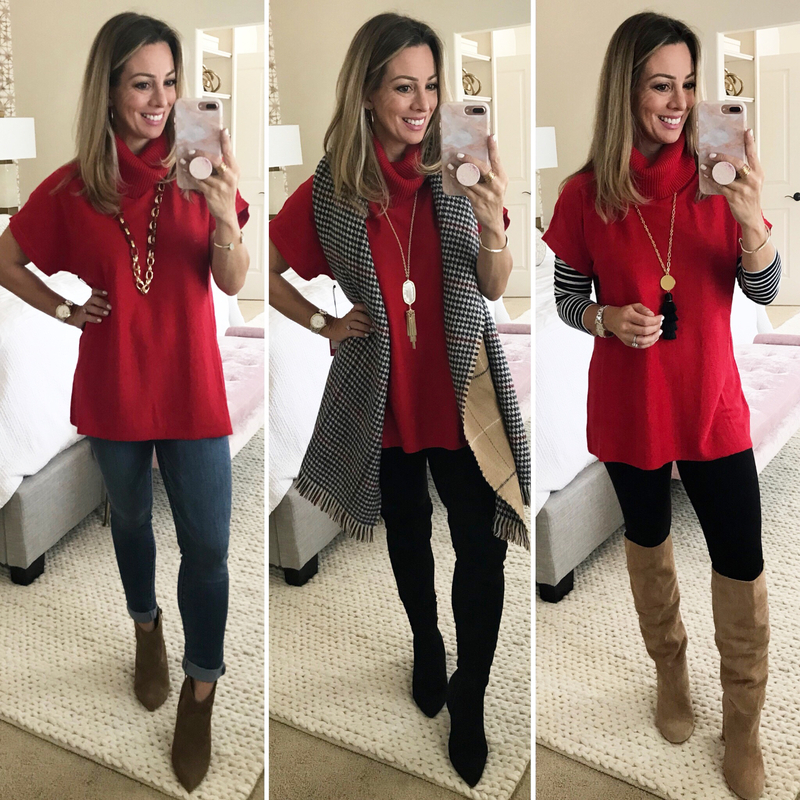 This outfit inspiration post is hopefully a fun and useful one for you! 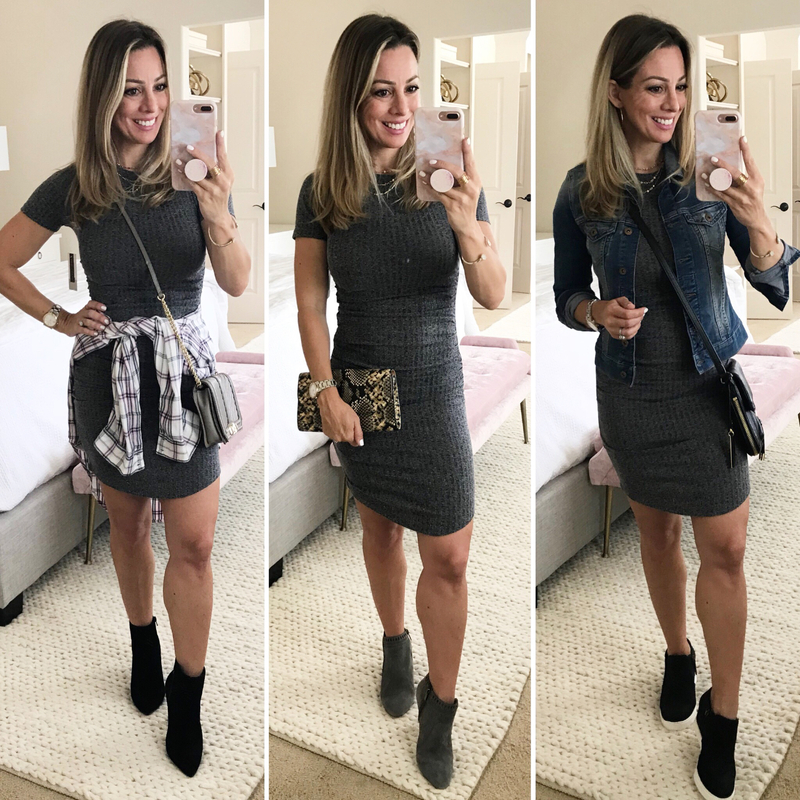 I wanted to share 3 different ways to style each piece for some Nordstrom Anniversary Sale fall outfit ideas. 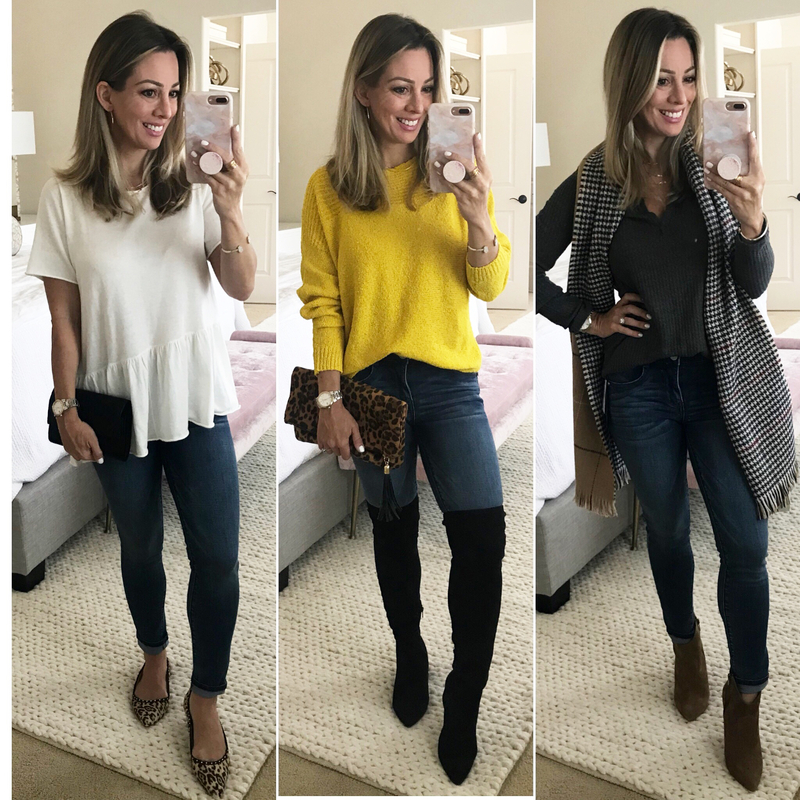 I know y’all have been shopping the sale so I’m partnering with Nordstrom today to share 39 different ways to style the things you scored over the past few weeks! 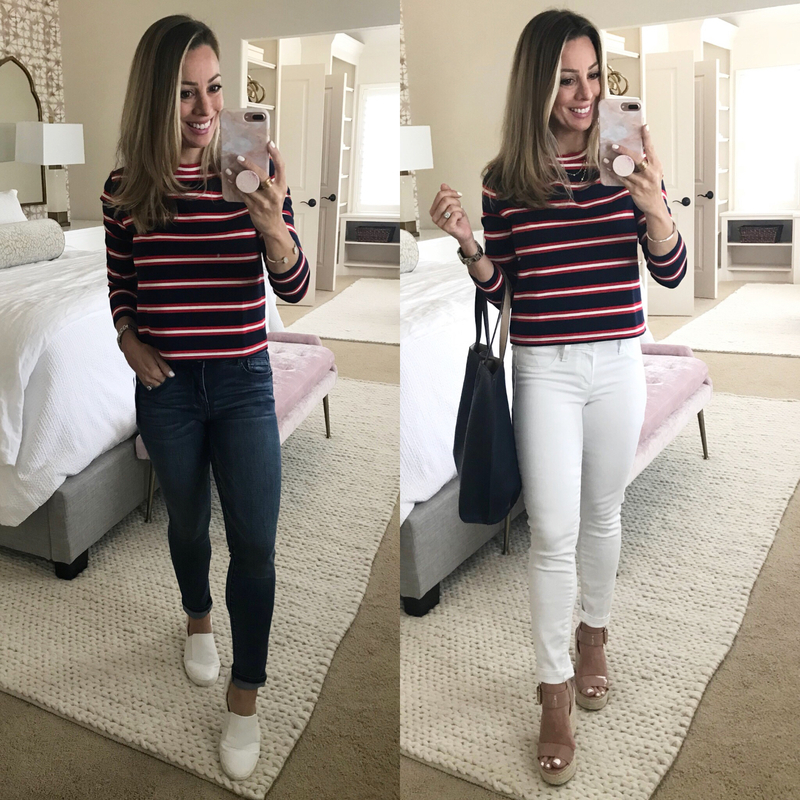 We all want to make the most of our wardrobe, so I’m showing you several ways to wear certain popular pieces. 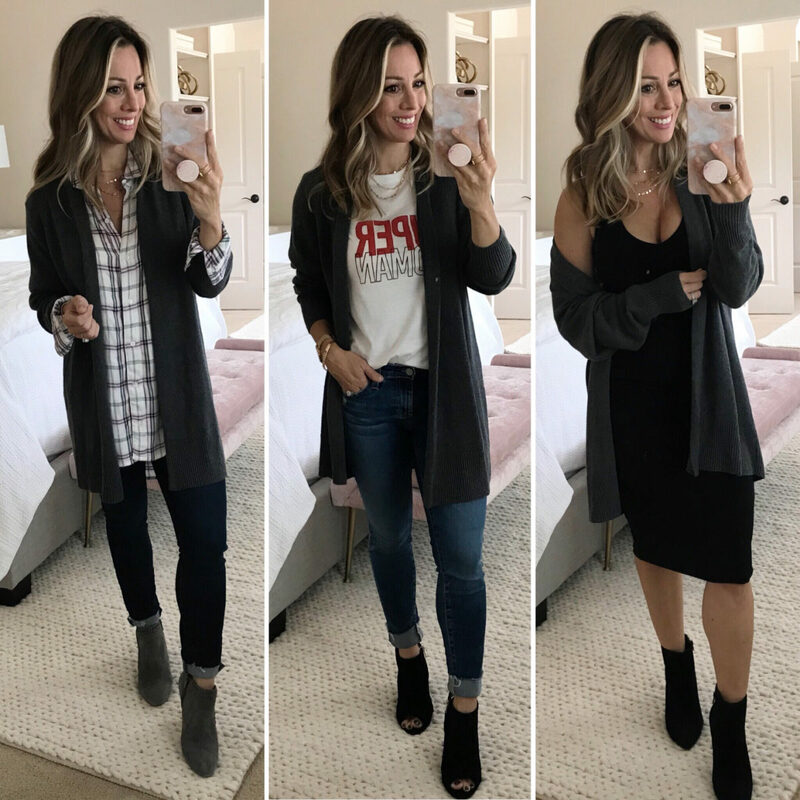 My goal is to provide you inspiration when you’re standing in a closet full of “I have nothing to wear.” We’ve all been there! Also, note that nearly every item in this post is 40% off, but sizes are going fast since the Nordstrom sale ends Sunday. Prices go back up on Monday! I’ll have a round-up on Friday of what not to miss before it’s all over. DETAILS : This cowl neck tunic is the best of both worlds- a soft cotton blend sweater with a slouchy cowl neck in a tunic top. I love that the length is perfect for wearing with leggings or jeans. You can have fun accessorizing with long necklaces and layer a 3/4 or long sleeve tee underneath. The top comes in five colors, and the pink is really pretty, but you can’t go wrong with basic black. Won’t red be especially fun during the holidays?! DETAILS : I have several military jackets in my closet, but not this one! 😉 It’s more of a button down shirt fit with a pleat in the back and relaxed fit. It’s one of those pieces that’s versatile for throwing over a top when it’s chilly, but not downright cold. It also comes in camo! DETAILS : Cardigans are my favorite thing to wear once Fall hits! You can style them so many ways from everyday jeans and a tee to over a bodycon dress. This one is cozy with a simple, sleek shape. Of course I love the blush pink one too! FIT : Runs small, wearing size Small. At first I didn’t think I’d be able to even get them all the way on, and worried I should’ve ordered size Medium instead of Small. They weren’t quite as hard to get on as my regular undergarment Spanx, but still a bit of an effort to pull them up over your hips. But, once I got them on, they felt perfect! Not too tight at all. Maybe XS would actually hold me in even better, but I’m happy with how the Small fit. DETAILS : While I was out wearing them, I didn’t feel them pinching or pulling and they were easy to forget you’re wearing! The Spanx part does make you feel quite secure though. Nice to camouflage any lumps and bumps you might feel self conscious about. So, what do you wear with faux leather leggings? Great question. 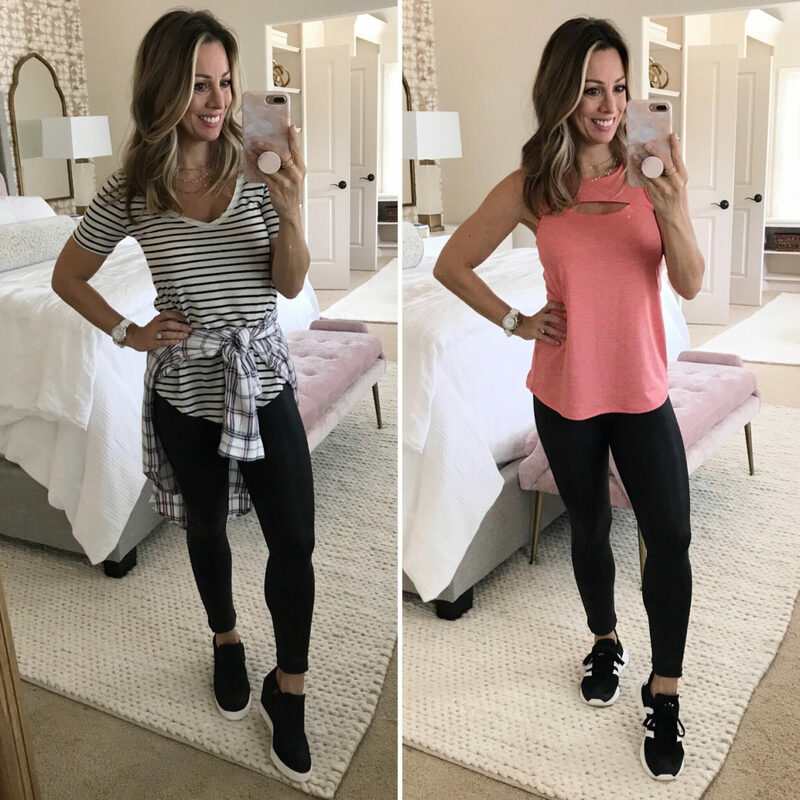 Anything you’d wear with regular leggings! You could even wear these as workout leggings. I’m team #coverthebum so I want a top that’s long enough to not feel exposed. The also come in a super chic moto style! DETAILS : I adore this navy peplum tie top so much! It’s a crisp, cool cotton blend with an adorable bow tie front. The top is tank style with a bit of a sweetheart neckline. You can wear this casually with shorts, dress it up for date night or even wear it to the office with slacks or a pencil skirt. DETAILS : This sporty long sleeve top has a modern cropped length, but isn’t belly baring. The color is really vibrant, but I also like the simple black and white one. FIT : Runs small, wearing 00P, but could have went with my normal 0P. Size up for a less bodycon fit. DETAILS : This little ruched t-shirt dress has a ribbed texture and cute short sleeves. It’s adorable for a dinner date or worn casually for the weekend. FIT : TTS, wearing XS, but need XSP to make it smaller like the third photo, where I pinned it up in the back. DETAILS : One of my favorite dresses in the Nordstrom sale was this fit and flare style sweater dress. The pink and black pattern is hip and fun and the fabric feels amazing on. It’s a thick stretchy knit material that has some give, but won’t stretch out. You can wear this to brunch with your friends, to church, to work or even on a night out. It would also look cute belted. DETAILS : This camisole is extra sassy with the black lace trim, but still feminine with the floral pattern. You can wear it alone, as pictured, or layer a sweater, cardigan or jacket on top. It feels nice and silky on. Give it a little front tuck to elongate the look of your legs. 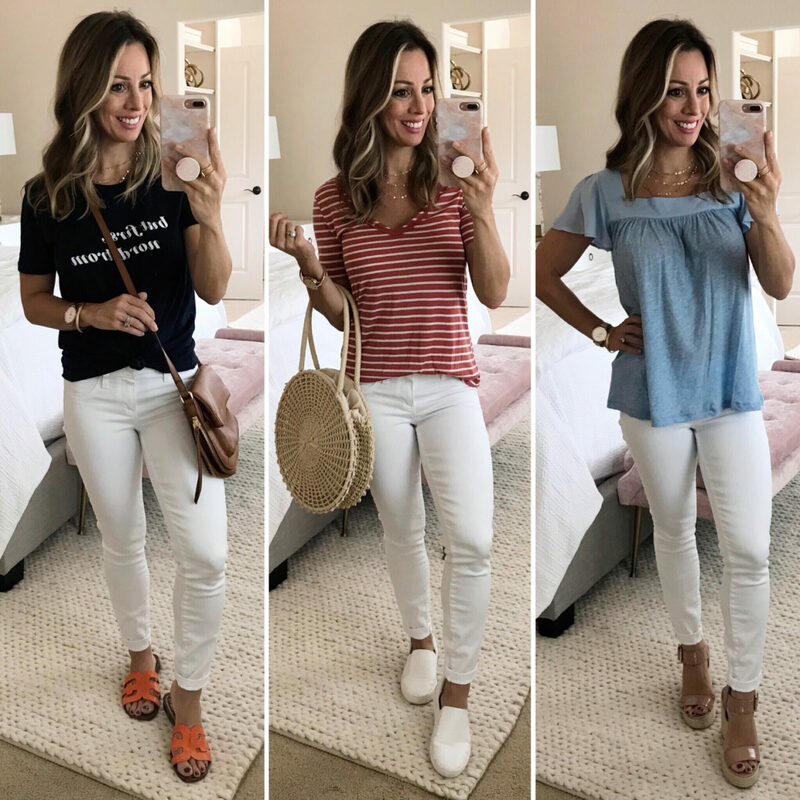 Of course, we’re not ready to give up our white jeans just yet, so I’m sharing three tops I’ve been wearing with mine lately for summer! All are in the Nordstrom Anniversary Sale and all are 40% off! 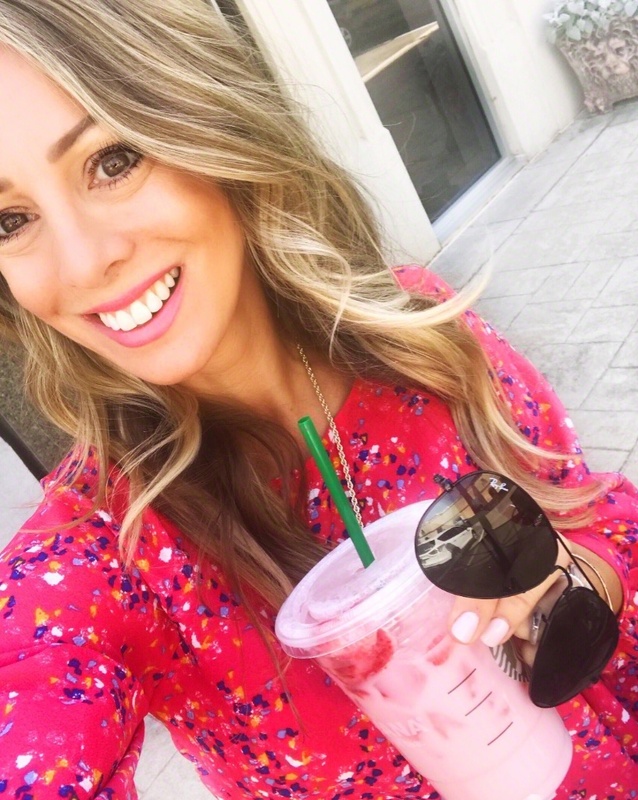 The “but first, Nordstrom” top is a necessity because #Nordstrom. The middle t-shirt has a cool raw edge v-neck and comes in solids too. Finally, the ruffle sleeve top is a bit dressier and also looks good with a mini front tuck. Ruffle Sleeve Top • White Jeans • Wedge. 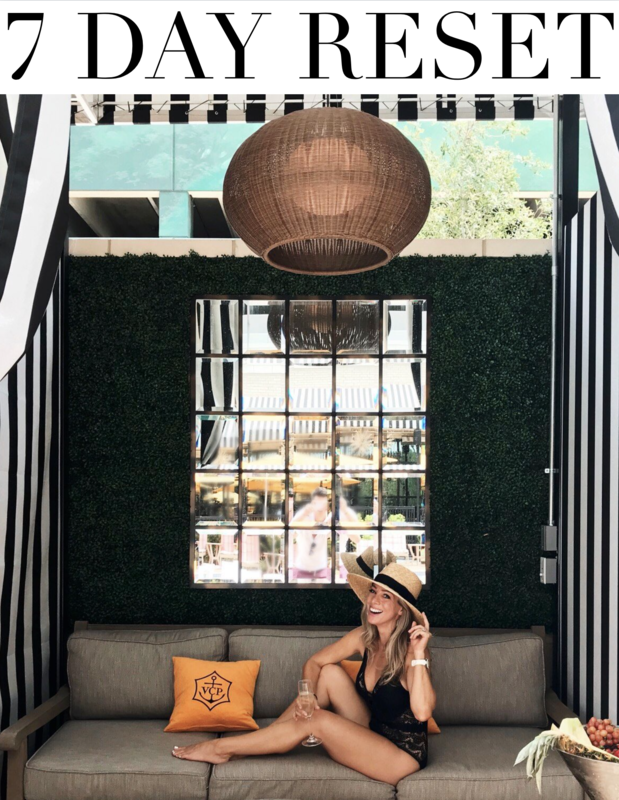 A big thank you to Nordstrom for sponsoring this post! I hope this post was helpful friends! 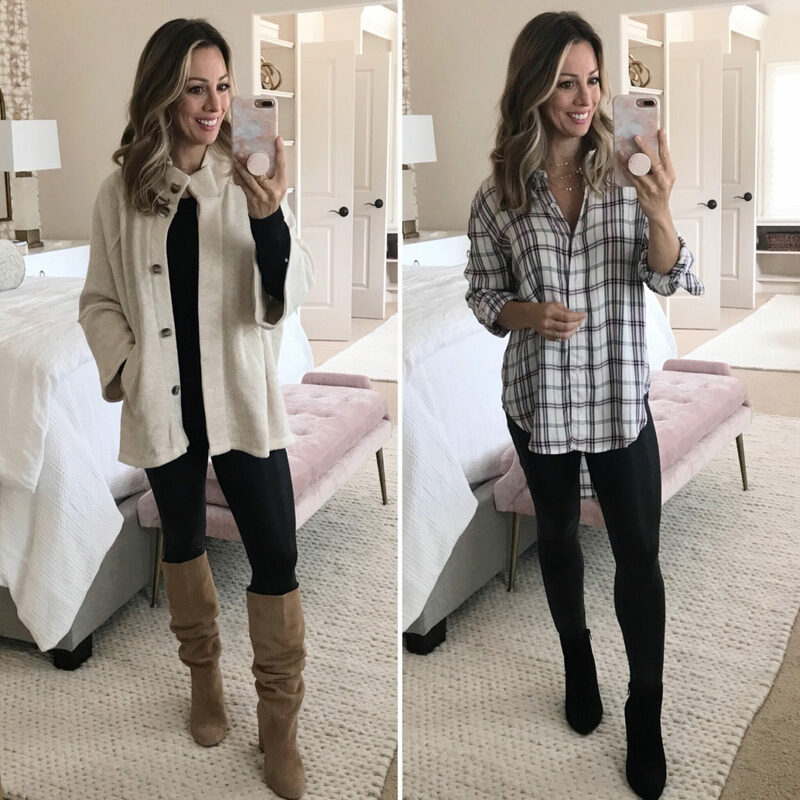 Be sure to bookmark this post to refer back to when you’re in need of some fall outfit inspiration for your Nordstrom Sale pieces. You can even pin each outfit you’d like to remember on Pinterest! Let me know if you’d like to see more posts like this sharing outfit ideas. I love how you show multiple looks with the featured item. 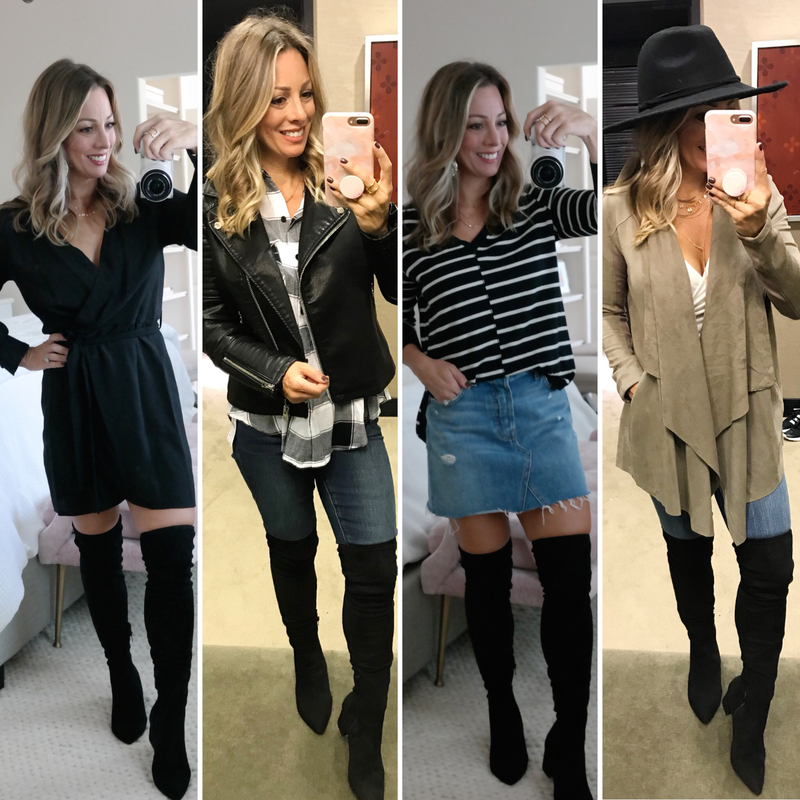 Changing up bottoms, shoes/booties/boots, etc. It’s so helpful to envision how an item can work and the many outfits that can be put together. I really love doing these kinds of posts, so I’m so glad they are helpful! Your selections are awesome. It looks great. I’m taking notes! 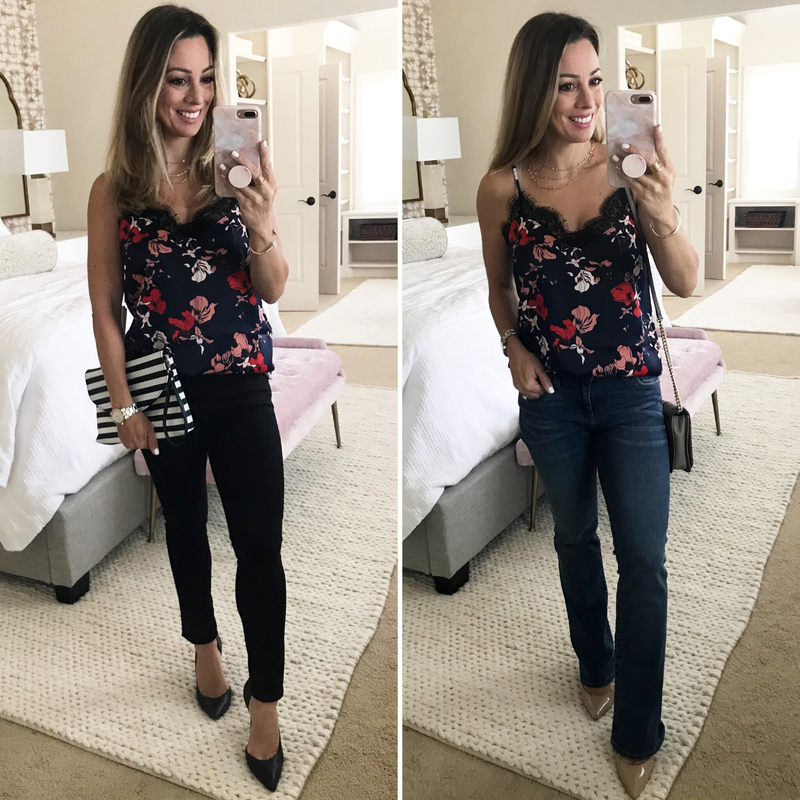 It’s not on my list of restocks from Nordstrom, but maybe you’ll get lucky with a return! Great loks and lots of inspiration! Just wanted to say that I enjoy your blog so much every day. 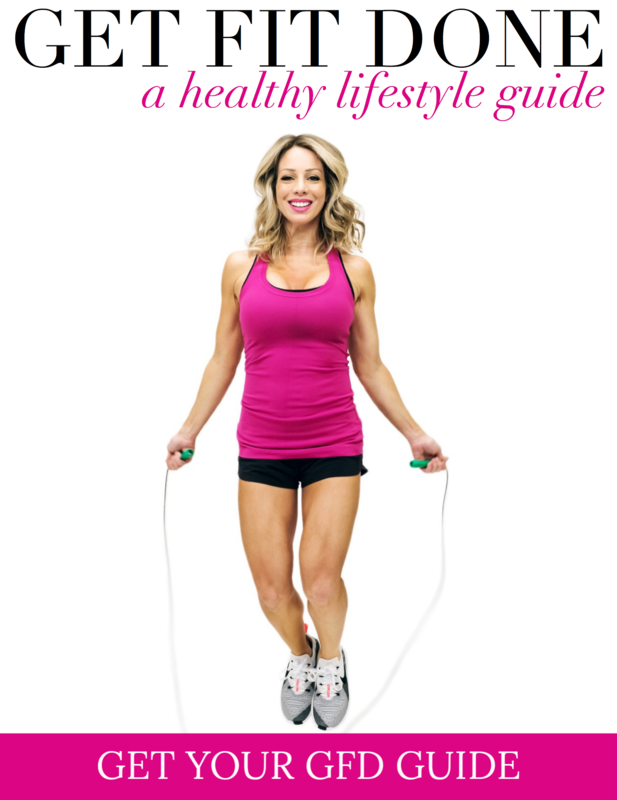 I love how you cover clothes but also decorating, work-outs, organization and so many other topics. I appreciate it so much that it is not just a daily push to buy, buy, buy! I think the red and white are always the outfits I like the best! Hi Susan! I’m so happy you enjoy my blog! 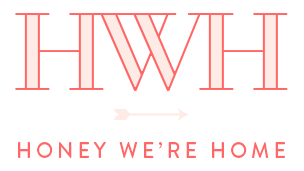 I try to vary the content to include all things lifestyle, so thank you for noticing! Love these posts and that I find new ideas for outfits with clothes I already have. Bummed the Cowl Neck sweater is sold out in my size…..I should have ordered that one! Oh dang! I hate that, did you see the other colors? Just have to tell you how much I appreciate your work. You’re incredibly prolific and I love your style. Oh my goodness, that’s such a sweet comment! Thank you! I bought the Brooks Fiona bra upon your recommendation. It arrived today (finally :)) and I love it. I would have never found it on my own. I also used your link – i hope it worked. Thanks so much. Oh thanks so much for that! It’s my fave bra for running!! Speaking of, I need to get back out there! Great post! Super helpful! Please do more in the future. Thanks so much for letting me know Jenny! I’ll plan to do more in the future!